Time to put my money where my mouth is – one piece of advice that I dispense to people who have bought a new (to them) Ferrari is to replace the battery since I firmly believe that the cornerstone to worry free motoring in a modern Ferrari is a solid power supply. 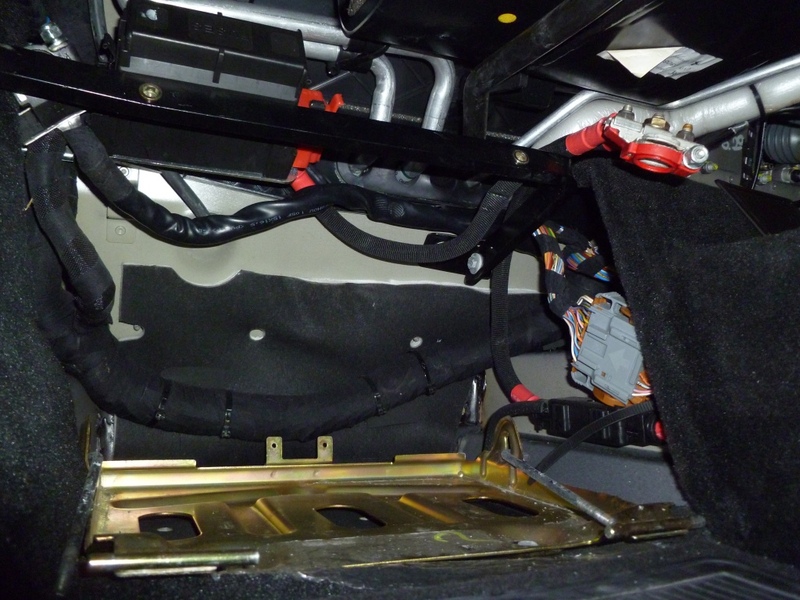 These cars are packed full of electronics that are very sensitive to voltage fluctuations. 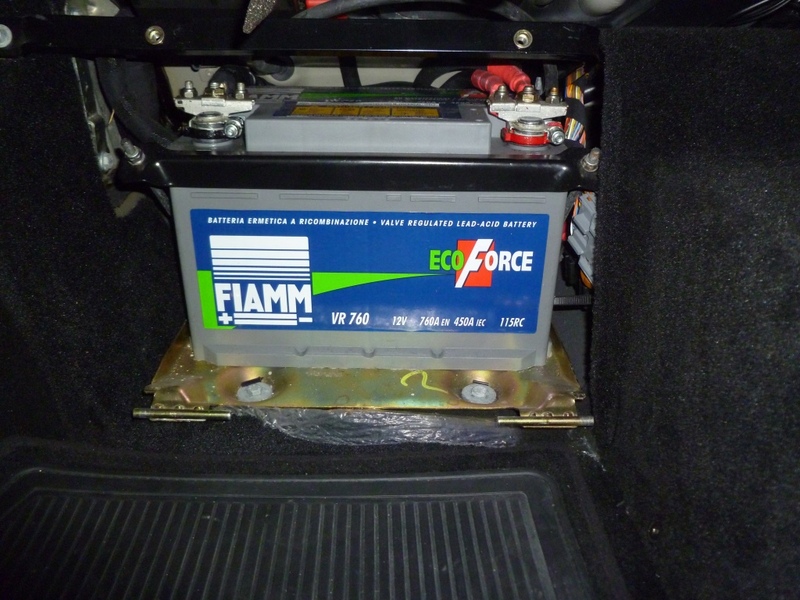 A good battery that is kept in tip top condition on a battery tender will ensure that the electronic systems do not have any excuse to throw false flag errors. 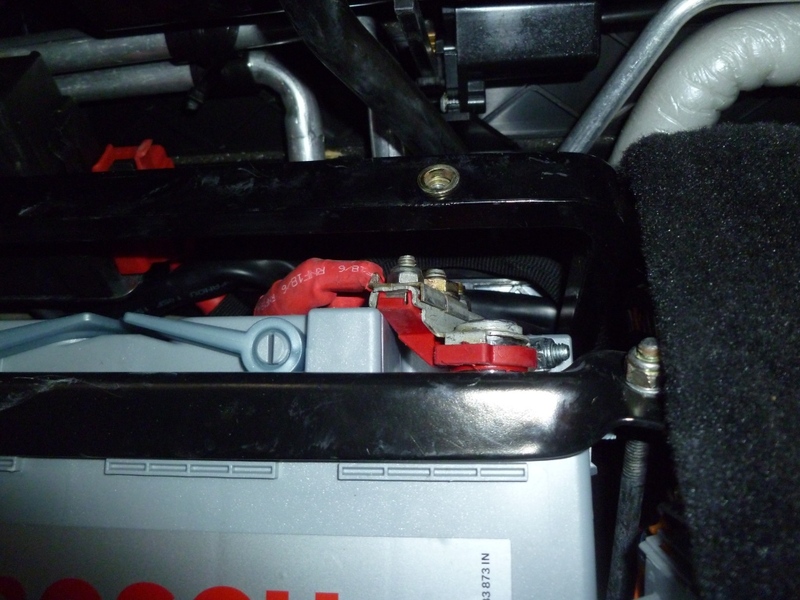 I was asked a while back if keeping a battery on a tender could potentially hide problems with the battery itself. The answer to this is very much yes and is something I have encountered with my F430. The car seems to have been kept on a tender by the previous owner and I continued to do the same. The car always started on the button and I’ve not experienced any battery issues during my ownership. That was until I had to store the car at a neighbours house due to building work at my own abode. There was no power at the temporary parking spot and after a week of non use the battery would be depleted enough not to crank the engine. The battery was toast and I had the laborious job of removing it and charging it out of the car (jump starting can cause big problems). 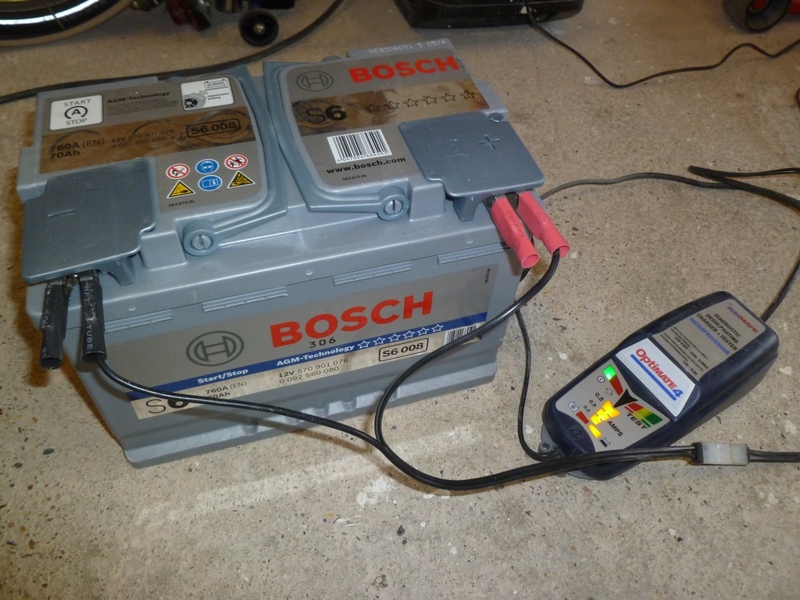 Battery selection for me is easy – I prefer Bosch units and fit the best that they have available. Recently, Bosch have introduced the S6 at the top of their offering so that is what I went for. The battery is an AGM type which means it is completely sealed and doesn’t need venting – perfect for mounting inside the cabin. 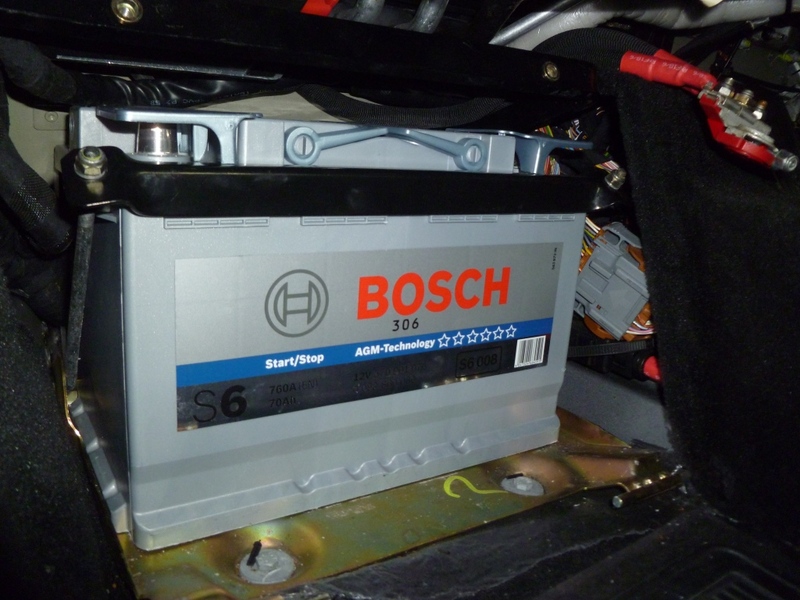 The Bosch designation is S6001 in their catalogue but S6008 on the battery itself (the UK size is “096”). It wasn’t cheap at £155 but then I feel my car deserves the best. 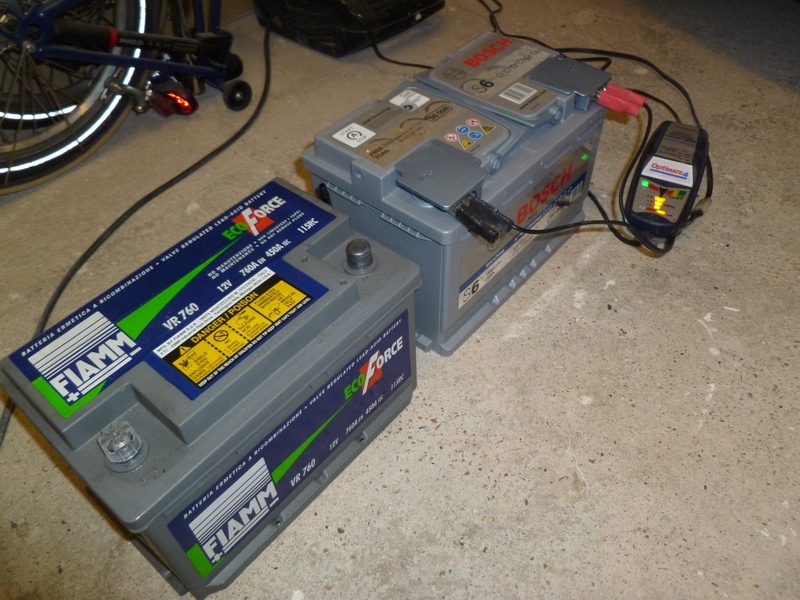 It’s worth noting that one should take care when matching a battery and tender/charger. AGM Batteries prefer constant current type chargers and will be spec’d with a maximum bulk charging voltage. The S6 battery has a maximum voltage of 14.8v – my optimate 4 is a constant current type with a maximum charging voltage of 14.3v. 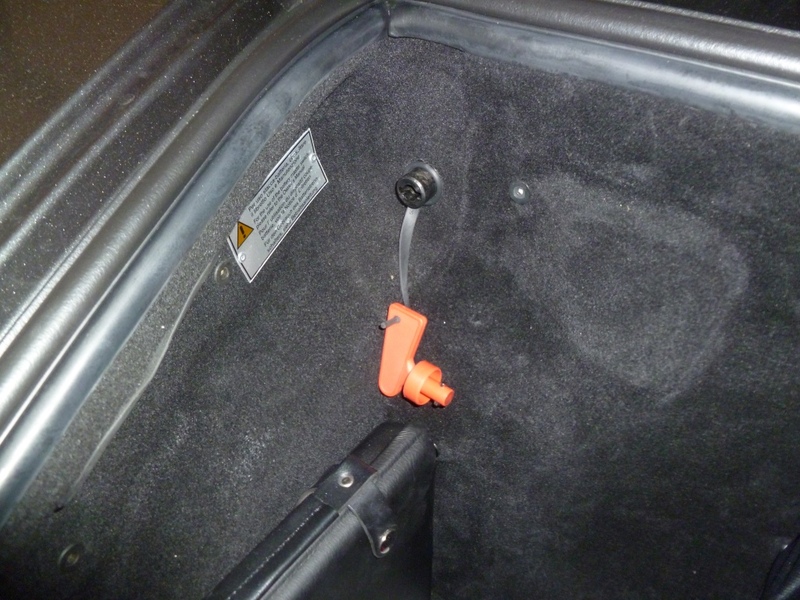 The footrest can then be withdrawn from the car. 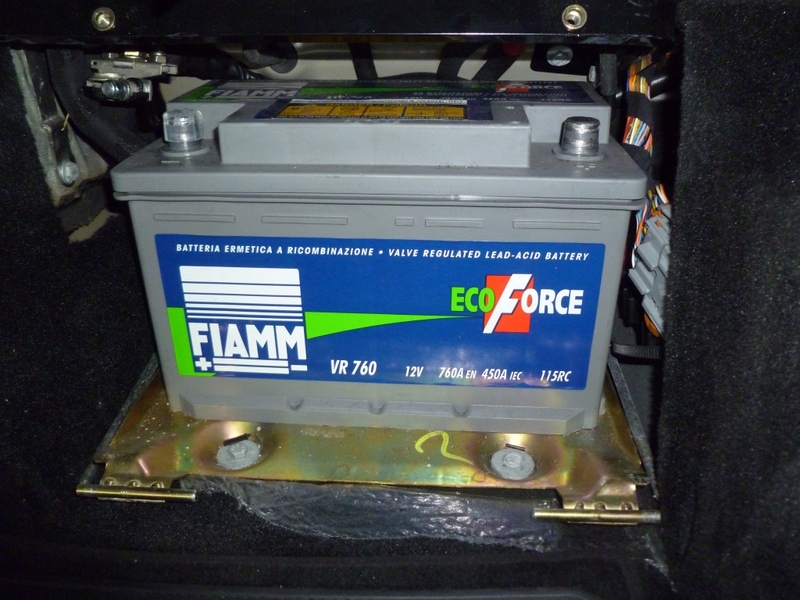 The battery looked like it was the original factory fit FIAMM unit making it nearly 9 years old – definitely time to be replaced. Next remove the wiring from the negative terminal of the battery (10mm socket). In order to prevent an accidental connection I placed a small cap over the terminal (the cap was taken from one of my daughters fruit drinks). 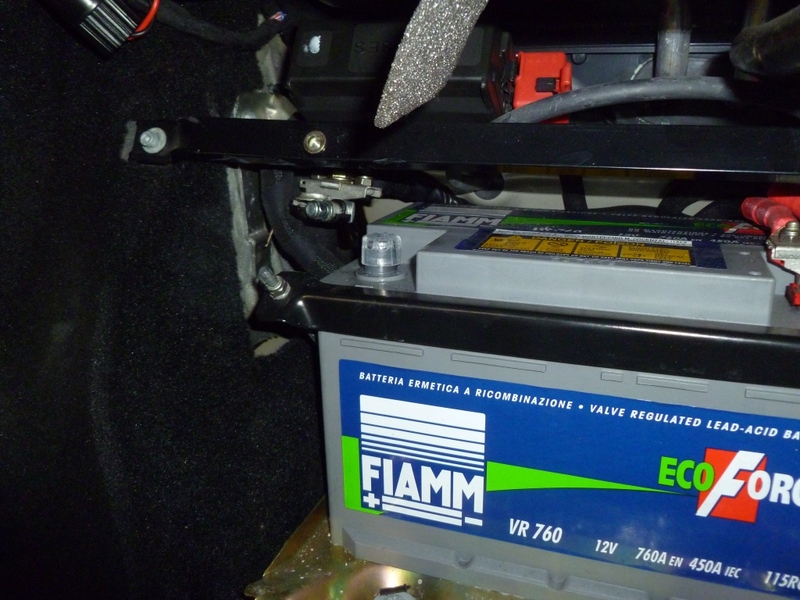 You will notice that the FIAMM battery is slightly shorter than the Bosch. 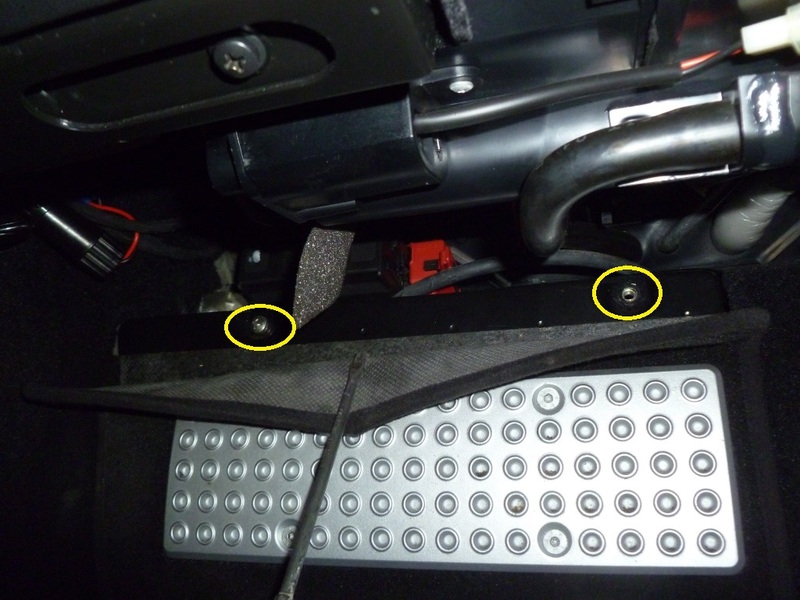 The FIAMM also has a vent whereas the Bosch does not. 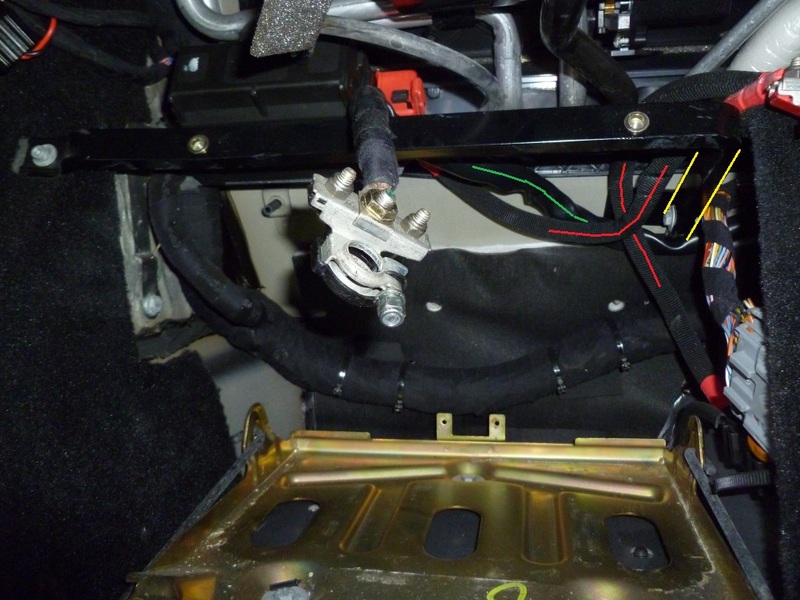 I removed the elbow from the FIAMM and re-fitted it to the vent pipe in the car and tucked it out of the way. Here’s where it became a little tricky. The Bosch battery was slightly taller than the FIAMM which meant that in order to be able to secure it in place with the strap I needed to re-route the cables so they didn’t jam down the back of the battery. In a 360 there is more room as there isn’t a fuseboard in the way as there is in the F430. I then slid the battery home and fitted the strap in place. Note that I left the terminal covers in place to prevent an accidental shorts. The positive wire was reconnected first. 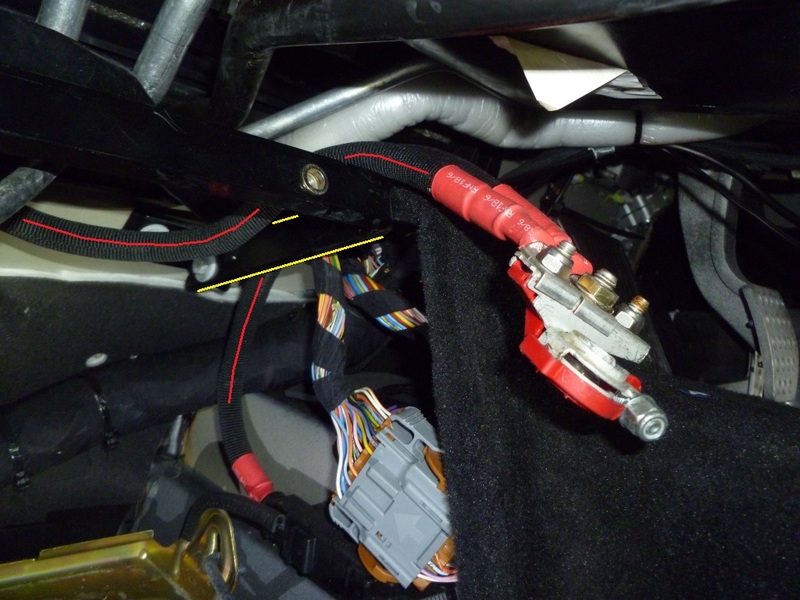 Due to the new routes of the wire the clamp had to be fitted in a slight rotated position. Then the negative terminal was connected. 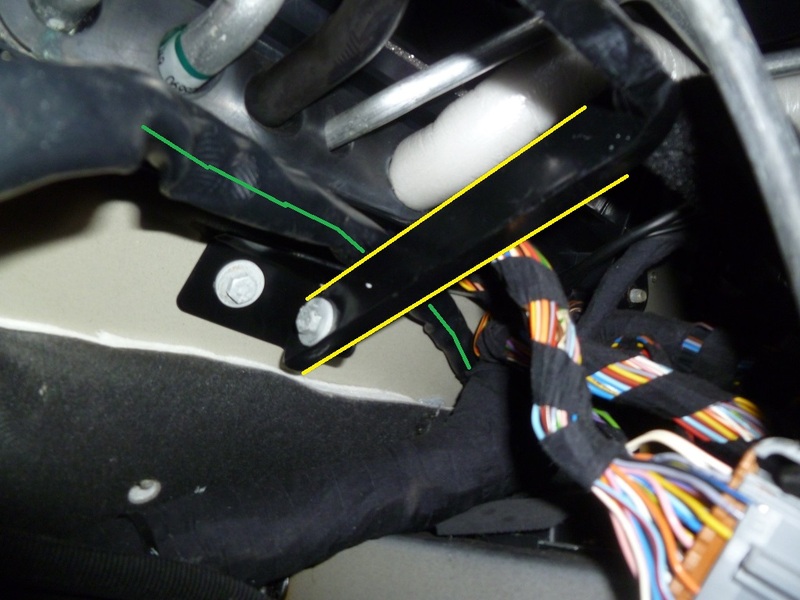 The footrest can then be refitted and the battery cut off switch replaced. Don’t forget to leave the ignition on without cranking the engine for at least 10 seconds in order for the motor driven throttle bodies to relearn their positions. It’s also a good idea to idle the engine for a while so the ECU’s can relearn their adaptive parameters. 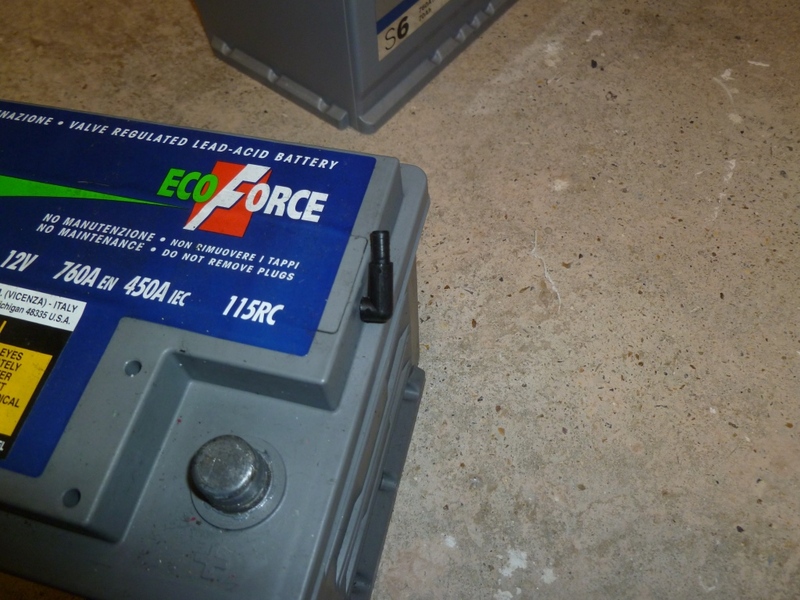 Why is it that an AGM battery which is essentially a lead/acid battery doesn’t require a vent? VRLA means that the battery has valve that controls the vent, this is a form of safety valve that prevents the battery from exploding in the event of a malfunction, the valve will open to relieve any pressure build up, the Bosch must have a similar device, it just discharges into the footwell – not good 😦 Varta have a version of the FIAMM battery, but I couldn’t get it to fit. Even a vented battery will split if thermal runaway occurs. 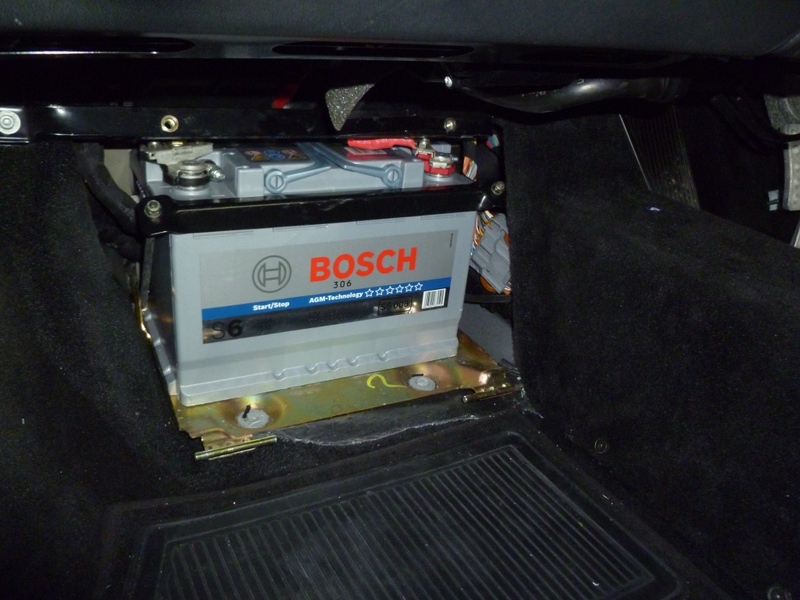 The Bosch AGM battery wont vent into the cabin under normal operating conditions. What do you attribute the failure to — keeping it on the tender or the fact that it was so old? I always keep mine on the CTEK when parked in my garage. Do you mean the failure of the battery? I would put it down to old age. Keeping the battery on a tender will prolong its life. I have an 07 F430 Coupe (USA – left hand drive) and plan on changing the battery this weekend to an odyssey 34R-PC1500T-A. 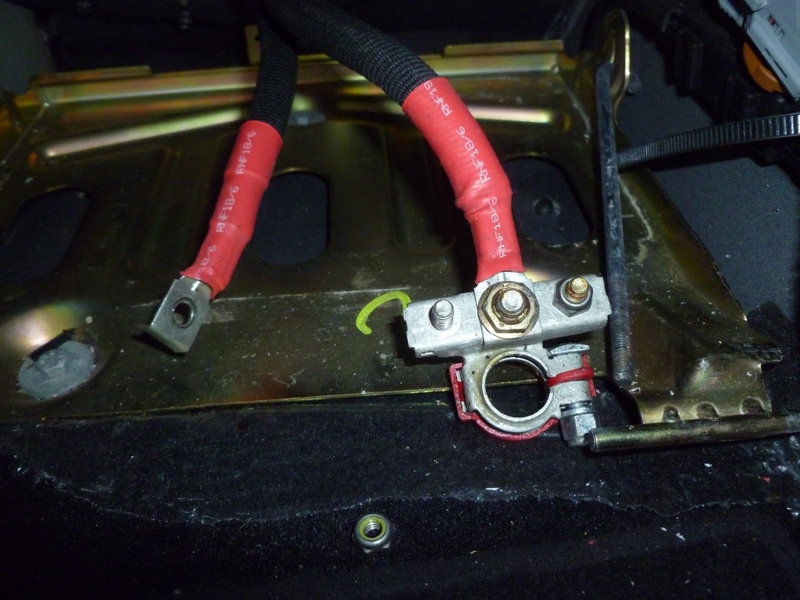 I’ve been reading over your post and plan to follow the outlined steps, however, I dont see a battery cutoff switch in the front trunk. I actually have a small rubber cap in the location where you have the battery cut off switch, I removed the rubber cap and all i see is a piece of aluminum (part of the chassis?). Any insights on where the battery cutoff switch might be located? It sounds like someone has removed your cut off switch. They have been known to fail (more so on the 360 though). You’ll be able to change the battery without using the cut off switch though – just follow the rest of the instructions. Thanks, Aldous. I appreciate your help!